Argentina has just raised interest rates to 40% trying to support the currency. 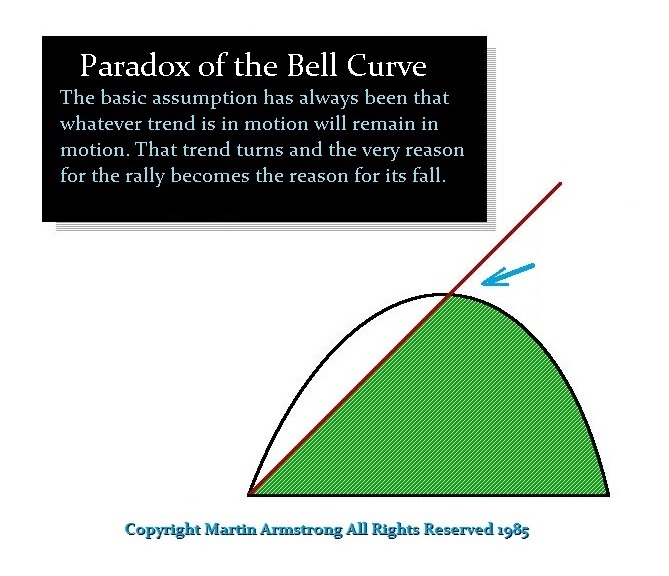 I have explained many times that interest rates follow a BELL-CURVE and by no means are they linear. This is one of the huge problems behind attempts by central banks to manipulate the economy by impacting demand-side economics. Raising interest rates to stem inflation will work only up to a point and even that is debatable. The entire interrelationship between markets and interest rates has three main phase transitions and each depends upon the interaction with CONFIDENCE of the people in the survivability of the state. PHASE TWO: Raising interest rates will flip the economy as Volcker did in 1981 ONLY when they exceed the expectation of profits in asset inflation provided there is CONFIDENCE that the government will survive as in the USA back in 1981 compared to Zimbabwe, Venezuela, Russia during 1917 or China back in 1949. In other words, if the nation is going into civil war, then tangible assets will collapse and the solution becomes assets flee the country. 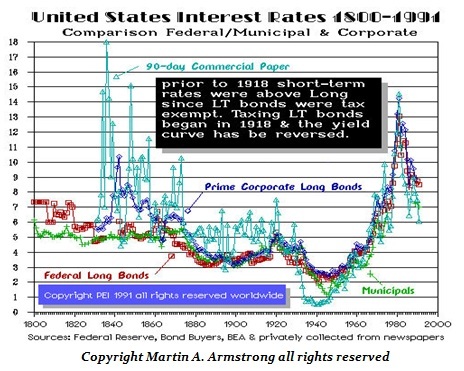 In the case of the USA back in 1981, the high interest rates worked because we were only in Phase Two where there was no civil war or revolution so the survivability of the government did not come into question. Hence, Volcker created DELATION as capital then ran away from assets and into bonds to capture the higher interest rates. Then and only then did rates begin to decline between 1981 into 1986 reflecting the high demand for US government bonds, which in turn drove the US dollar to record highs and the British pound to $1.03 in 1985 resulting in the Plaza Accord and the creation of the G5 (now G20). So many people want to take issue with me over how the stock market will rise with higher interest rates. It is a BELL-CURVE and you better begin to understand this. If not, just hand-over all your assets to the New York bankers now, go on welfare and just end your misery. Here are charts of the Argentine share market the currency in terms of US dollars. You can see that the stock market offers TANGIBLE assets that rise in local currency terms because assets have an international value. Here we can see the dollar has soared against the currency and the stock market has risen in proportion the decline in the currency. I do not think there is any other way that is better to demonstrate the BELL-CURVE effect of interest rates than these two charts. To those who doubt that the stock market can rise with rising interest rates, I really do not know what to say. Keep listening to the talking heads of TV and all the pundits who claim only gold will rise and everything else will fall to dust. Then we have the sublime blind idiots who never look outside the USA and proclaim the dollar will crash and burn not the rest of the world so buy gold and cryptocurrency you cannot spend and certainly with no power grid. Is when no level of interest rate will save the day. Capital simply flees the political state for the risk of revolution or civil war means that tangible assets which are immovable will not hold their value such as companies and real estate. This is the period that Goldbugs envision. At that point, the value of everything will even move into the extreme PHASE FOUR where even gold will decline and the only thing to survive is food. 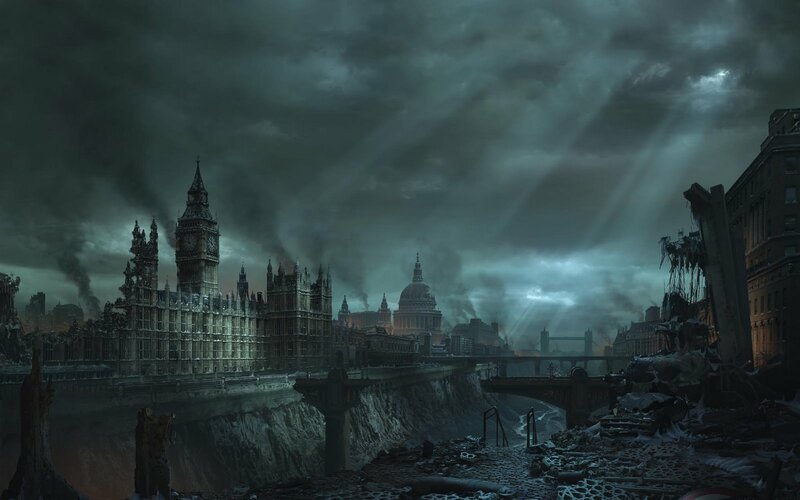 There, the political state completely collapses and a new political government comes into being.